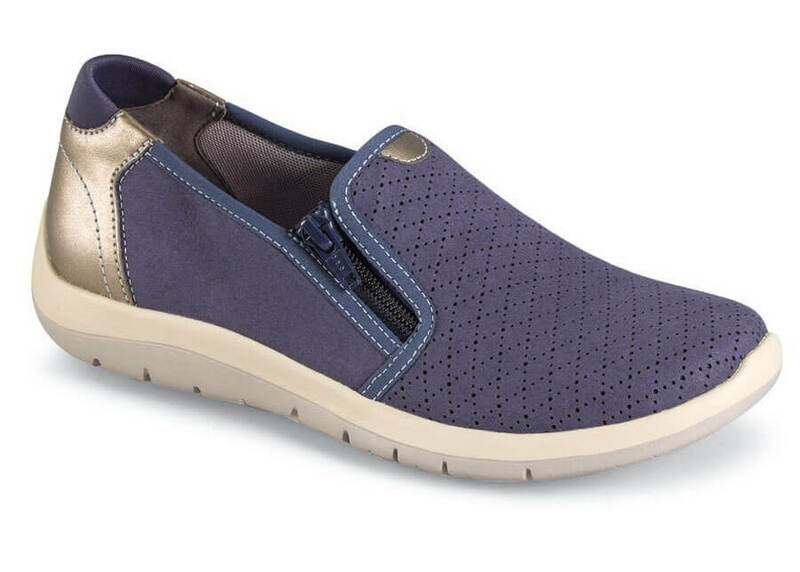 Zip into the casual comfort of the blue “Wembly Side Zip” everyday casual slip-on from Aravon, a Rockport company. 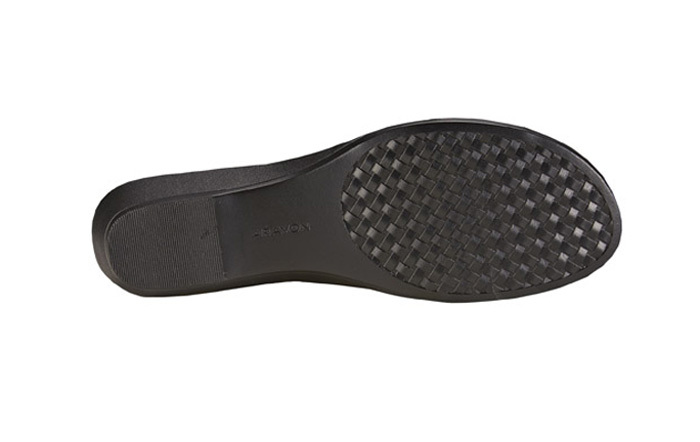 Super-lightweight, it has silky nubuck uppers with soft micro-fiber linings, removable Memory Foam comfort insoles and featherlight ground contact EVA outsoles. The side zipper is both functional and eye-catching. One-inch heel height. Women’s sizes 6½–10 in 2E width. Limited sizes available.